All loaded up at the Eagle Alaska boat landing. Ready for the 12 mile trip down the Yukon to the David archaeological site near Calico Bluff. From left to right-Bob Sattler, Andy Bassich, James and Chris. The pictures below hint at the great side benefits that come with a career in polar research support. 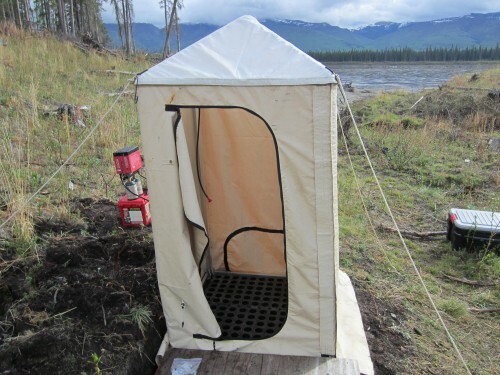 Polar Field Services' Alaska staffer Larry Gullingsrud last week returned from spending a few days camping along the Yukon River while doing some remote work for a project we support. Clearly he lucked out with the spring weather! 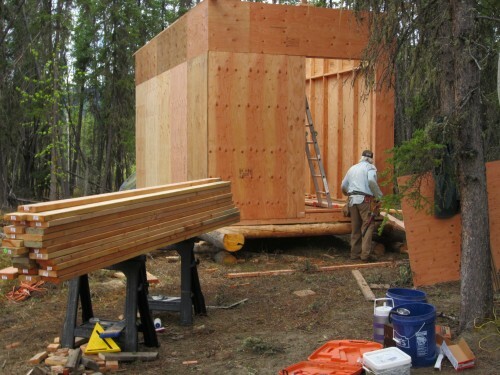 Larry helped the Tanana Chiefs Conference enhance a field camp at the "David site," which lies along a part of the river that brushes against the Canadian border. The David site carries a rich treasure of settlement artifacts dating back almost 7,000 years. There, lead investigator Robert Sattler and colleagues will mount several two-week courses this summer aimed at exposing Alaskan high schoolers to field research in archaeology. 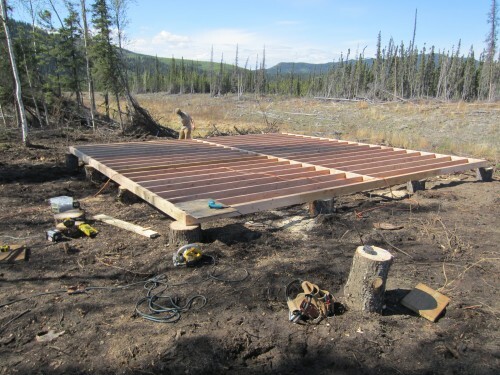 Framing up the 24 sq.ft deck for the new Western Shelter science lab. 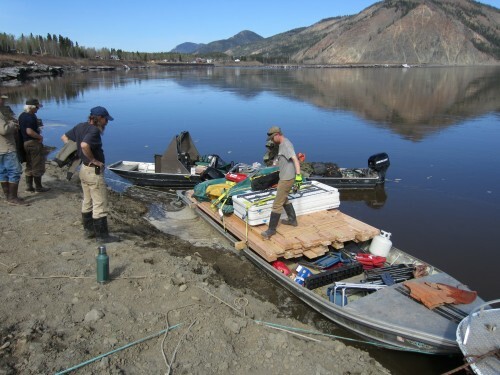 David Archaeoligical camp-Calico Bluff-Yukon River.